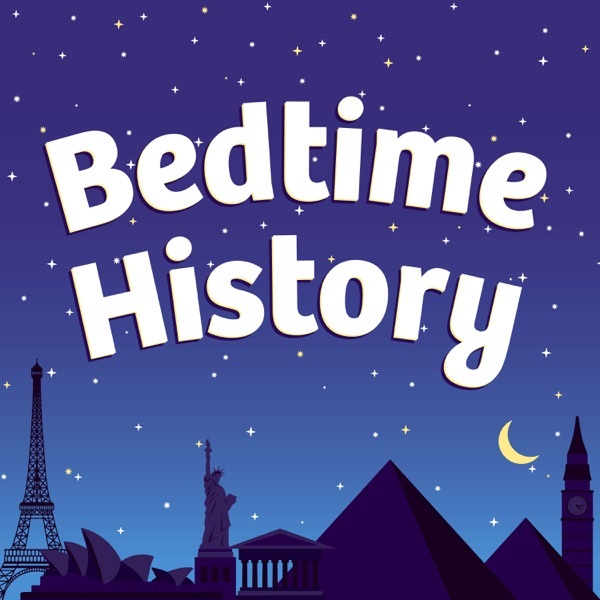 Bedtime History is a series of educational, relaxing stories for kids. Learn about inspirational characters such as Neil Armstrong, Sacajawea, George Lucas and J.K. Rowling. Other topics include space exploration, current events, and great feats of engineering such as The Transcontinential Railroad. Be sure to subscribe to be notified of new episodes! Check out our videos on YouTube: https://www.youtube.com/c/bedtimehistory Be sure to follow us on Instagram and Facebook! Learn about the amazing history of chocolate. From the cacao bean used by the ancient Olmecs in Mesoamerica to the mass production of chocolate bars by modern companies like Hershey, learn how we came to enjoy one of the world's most favorite treats. Learn about the plans leading up to D-Day and its importance as one of the defining battles of World War 2. Learn about Marie Curie, the extraordinary woman scientist who won multiple Nobel Peace Prizes and helped develop early x-ray technology. Happy Presidents' Day! Learn about the childhoods of several of the Presidents of the United States of America, many of which were very difficult and very humble beginnings. Learn about Walt Disney's idea behind Disneyland and how it came to be, from its design to its construction and future. Learn about Walt Disney's childhood in Marceline and his early days as an animator, then on to the success of his early animated films leading up to the creation of Disneyland. Learn about the great civil rights leader, Martin Luther King Jr. from his days as a pastor to his great march on Washington, and about the change that came from his efforts to bring about equality in the United States and across the world. Learn about the incredible pyramids of Ancient Egypt, pharaohs, mummies, and more about why and how the pyramids were built. Learn about the origin of Christmas trees which started in ancient European times and now is a primary tradition in cultures around the world who celebrate Christmas. Learn about Dian Fossey, the zoologist who sacrificed much to study the Gorillas of Rwanda and help to protect them. Learn about the musical prodigy Wolfgang Amadeus Mozart. Learn about the 2,000 year old history of Halloween, which started with ancient Celtic traditions and evolved into the fun celebration it is today. Learn about Marco Polo, the Italian merchant, who traveled Asia to become one of the earliest European explorers to learn about its culture and people and return to write about it. Learn about Steve Irwin, best known as The Crocodile Hunter, an Australian TV personality and crocodile expert who had a passion for teaching about wildlife and it's preservation. Learn about Hedy Lamarr, the famous actress who also helped invent an early device for radio communications. Learn about the world famous Chinese martial artist, actor and pop culture icon, Bruce Lee. Learn about the history of Paris's world famous Eiffel Tower. Learn about one of the greatest eras in history, The Renaissance, where education and innovation flourished, the likes of which had never before been seen in the history of the world. Learn about the brave female nurses of World War I and all they did to bring comfort and cheer to the wounded during one of the most difficult periods in the history of the world. Learn about the childhood of Jacques Cousteau, when he first became interested in the ocean, his later invention of the aqua-lung and his filmmaking adventures across the globe. Learn about a current event, the rescue of the soccer team in the Tham Luang Thailand caves; and the brave divers who gave their all to bring the boys to safety. Learn about the history of computer technology, from the abacus of the ancient world to smartphones of the modern age. Learn about the ambitious young immigrant, Irving Berlin, and his rise from poverty to become one of America's greatest songwriters. Learn about the young Pakistani school girl who challenged the Taliban in her quest for womens' rights to education. Learn about the childhood and career of world famous children's author and artist, Dr. Seuss. Learn about Shirley Temple, the young child star who won the hearts of people everywhere and gave hope to America during The Great Depression. Learn about J.K. Rowling, the author of Harry Potter, who dreamed of being a writer and eventually found great success in her world famous fantasy series. Learn about Buffalo Bill Cody, the American West hunter who eventually started his own Wild West Show and travelled the world with his famous band of performers. Learn about India and the brave man who led his people to freedom through his example of non-violence and love. Learn about Nancy Wake, the brave spy and soldier who helped lead the Allies and French Resistance to victory during World War 2. Learn about George Lucas's childhood and imagination that led to the creation of one of the greatest movie franchises of all time. Take a journey to the place where stars are born and learn about the history of stars and our own star, the Sun. Learn about the newsies strike of 1899, when a band of courageous newsboys took on the most powerful newspaper owners in New York City. Enjoy a reading of Paul Revere's Ride, the famous American poem by Henry Wadsworth Longfellow. Learn about one of the most well known Founding Fathers, Benjamin Franklin, who was also a writer, inventor and philanthropist. Learn about an everyday hero who has changed many lives through her goodness and talents, my wonderful grandmother, Sandra Porter. Learn about Gymnast Kerri Strug as she started training as a child and improved her skills until winning a Gold Medal at the Atlanta Olympic Games. Learn about the specialized military group, what it takes to become a SEAL and some of the missions they have carried out to help others. Learn about the amazing engineering feat of the Transcontinental Railroad and the ingenious and brave Americans who constructed it. Learn about the brave young Shoshone, Sacajawea, as she guides Lewis and Clark across the dangerous American wilderness in search of a better path to the West. Learn about Abraham Lincoln as he enters politics and as President faces the tragedies and challenges of the Civil War. Learn about the childhood of Abraham Lincoln in Kentucky as he learned to work hard and study, preparing to become the President of the United States of America. Learn about the first spacecraft to visit a comet, the Rosetta Mission. Learn about Eurostar, the underwater tunnel, one of the greatest engineering feats in the history of the world. Learn about Joan of Arc, the young French girl who gave her people hope for freedom during a time of war. Learn about Bullet Bob Feller who would grow up to become one of the fastest pitchers of all time. Learn about World War 2 pilot Gail Halvorsen, who came up with a creative way to bring hope to the children of war torn Germany. Learn about the adventures of Sir Edmund Hillary as he grew from boy to man and conquered the highest mountain in the world, Mount Everest. Learn about Tegla Loroupe, the little girl from Africa who grew up to be a famous marathon runner and inspiration to her people. Learn about famous astronaut Neil Armstrong as you drift off to sleep.